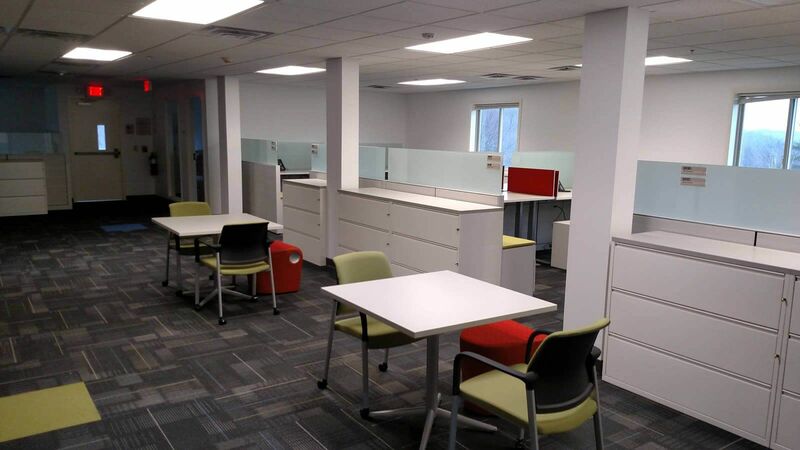 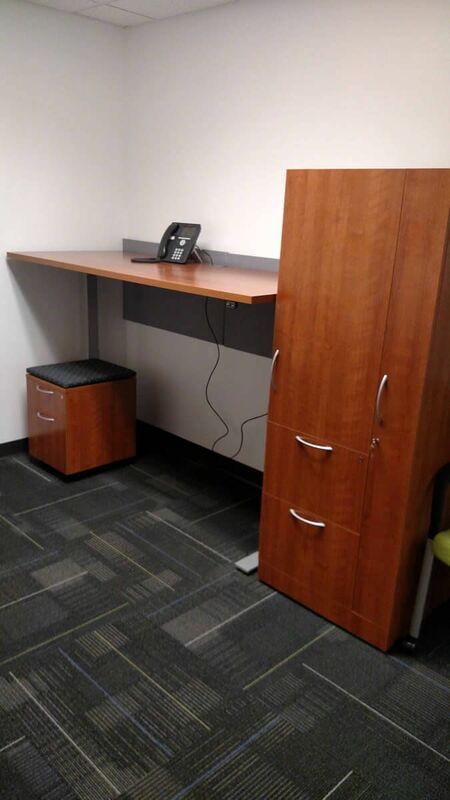 A global research and development healthcare company required a large amount of office space, constructed as quickly as possible with minimum disruption on site, to support its rapidly expanding research division. 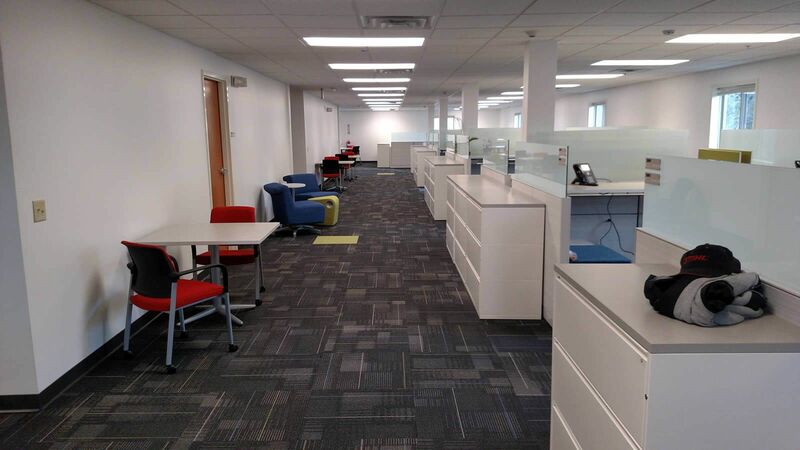 Durable, long lasting and quality construction was required to match its existing buildings on their campus and meet the company’s immediate initiative, while providing the option to relocate the building in the future if needed. 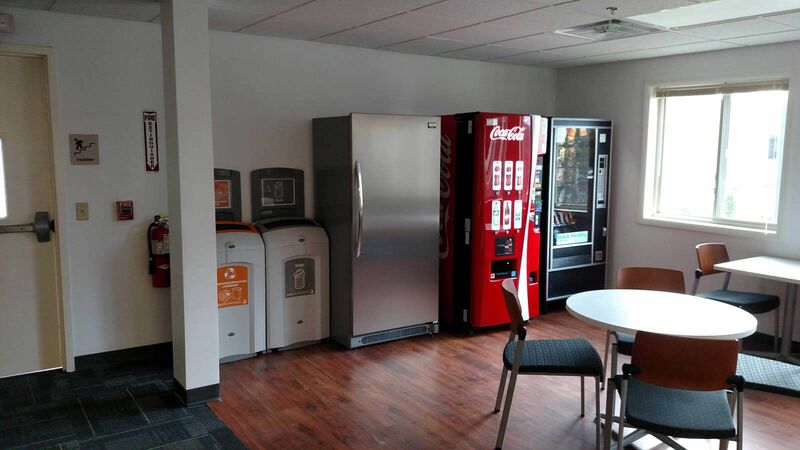 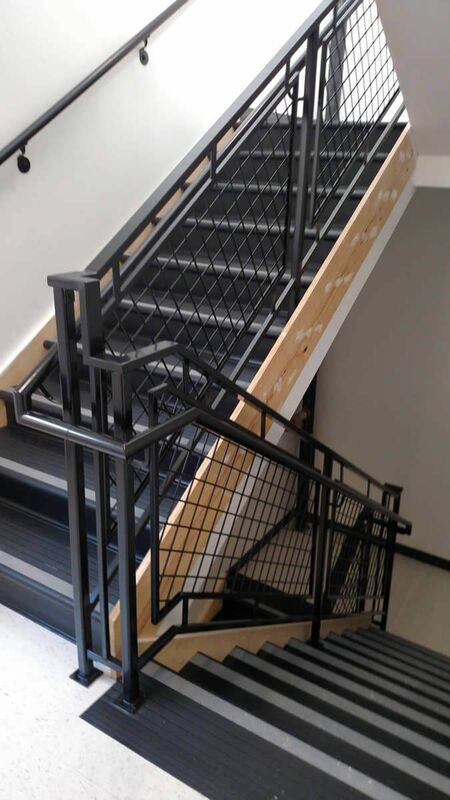 Modular Genius provided a complete turnkey 27,000 square foot 3-story modular building solution, which houses an elevator and two interior stairwells. 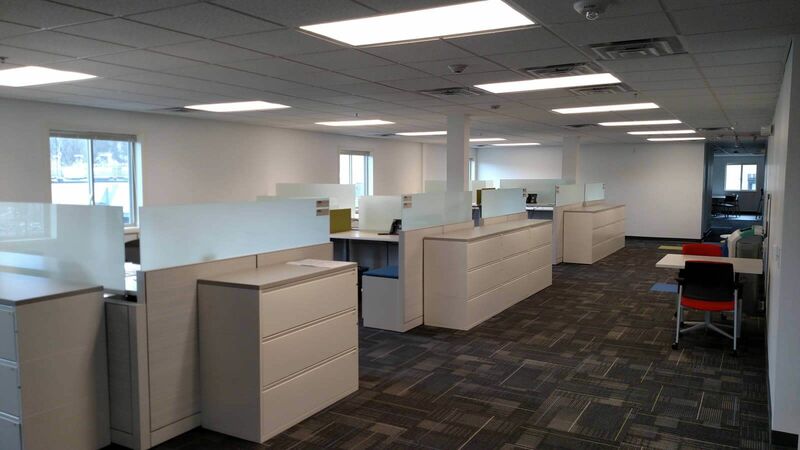 Services included design, engineering, project management, site super vision, site work, foundations, utility work, new building construction, finishes and more. 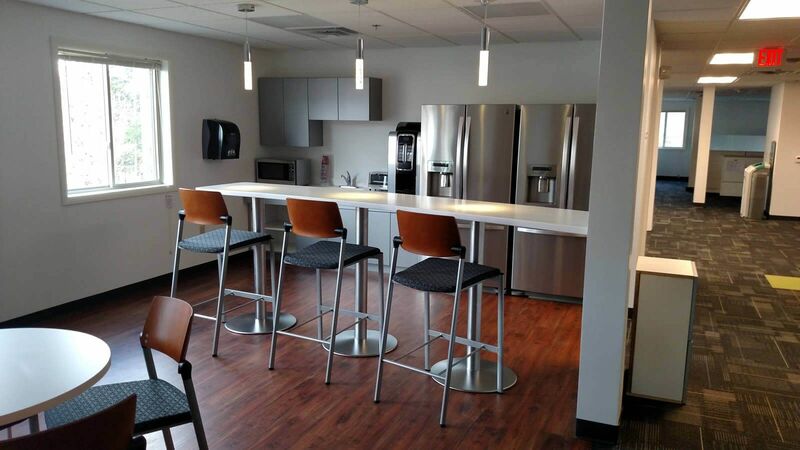 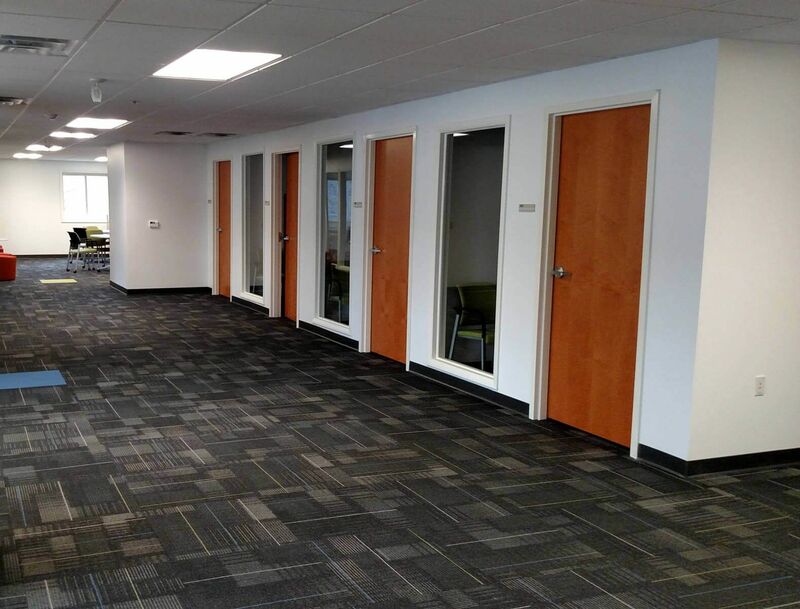 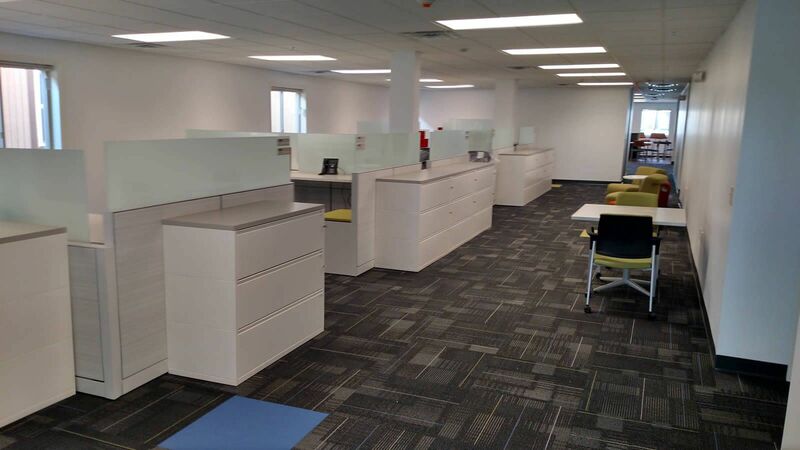 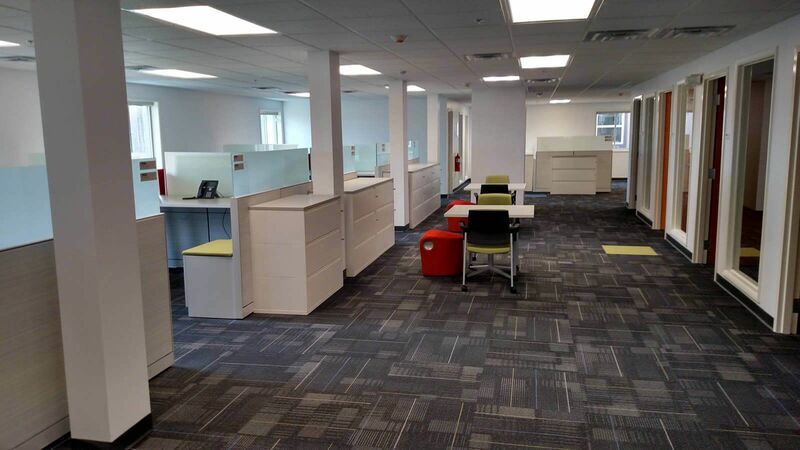 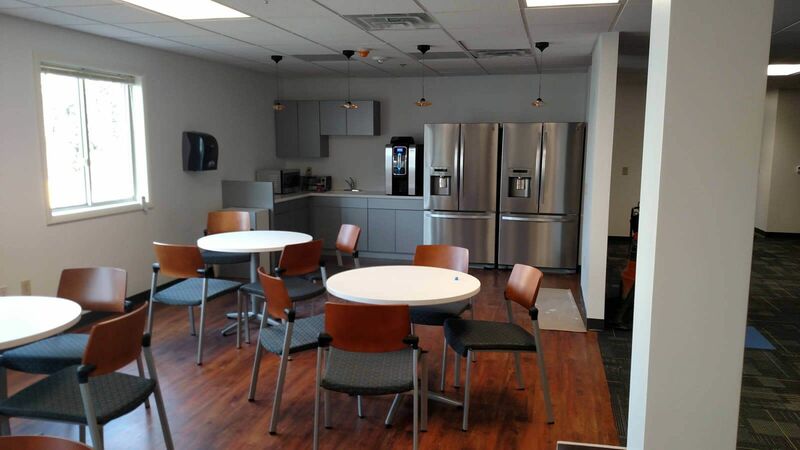 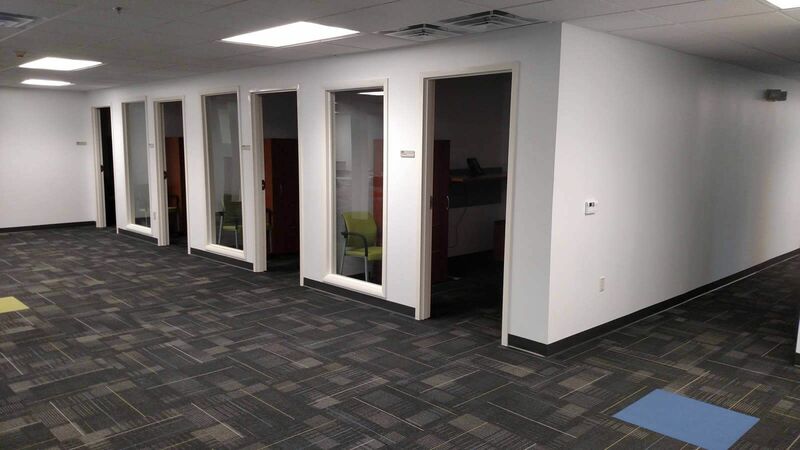 Each floor contains 18 modular office suites, open areas with cubicle work stations, conference rooms, a break¬room area, restrooms and closets/storage rooms to support the building. 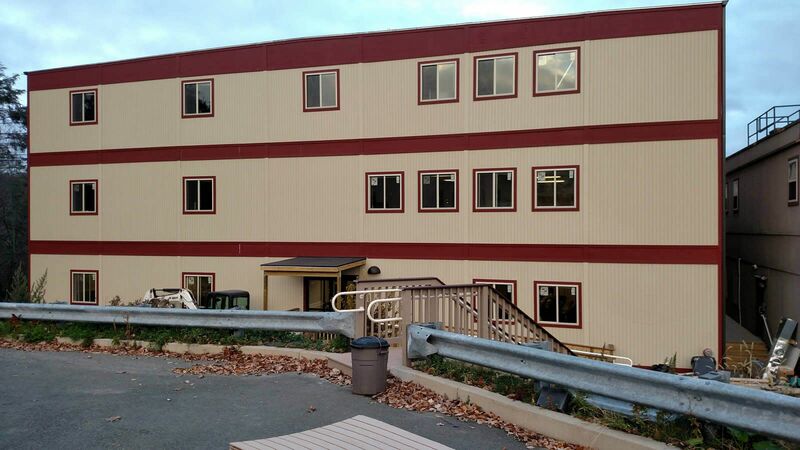 Modular Construction was the ideal solution for this 3-Story Building project; taking advantage of concurrent construction speed, marginal site disturbance and minimal material laydown required. 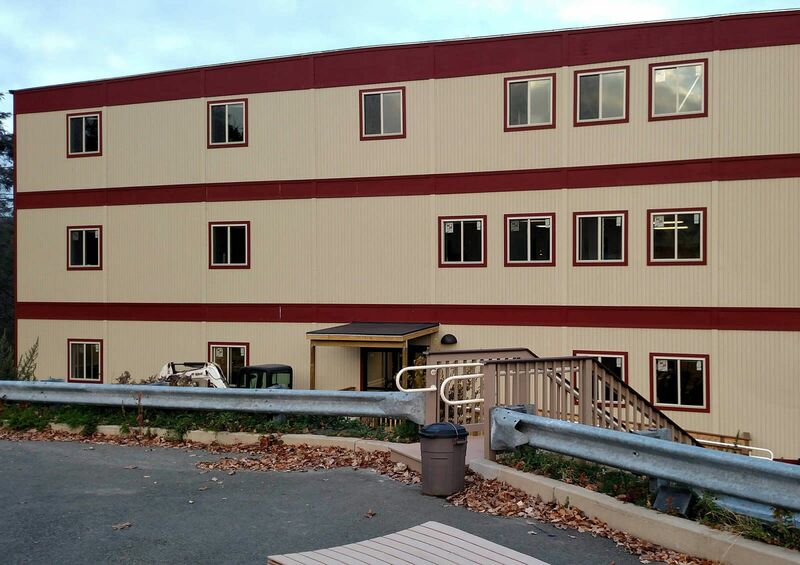 This particular design afforded the end user an immediate solution, permanent attributes with relocatability, and the ability to install the building quickly and safely in a tight, sloped site location.